The Chine exclusive Honor V20 has been officially declared as Honor View20 for the global market. The Honor brand which operates under Huawei Technologies announced this at an event held in Paris on Tuesday. The new Honor View20 and the Honor V20 are identical in all aspects; in specifications and design they're basically the same. However, the former will be available in most countries, while the later is restricted to China. The phone boasts of high-end specifications, these includes 6.4-inch Full HD+ screen, Kirin 980 7nm chipset, up to 8GB of RAM and up to 256GB of storage, flagship 48MP camera made by Sony and 3D ToF dual rear camera, 25MP front camera, and a 4000mAh battery. It has "V" shaped gradient patterns on its glass back that shimmer, and a metal frame for premium feel. 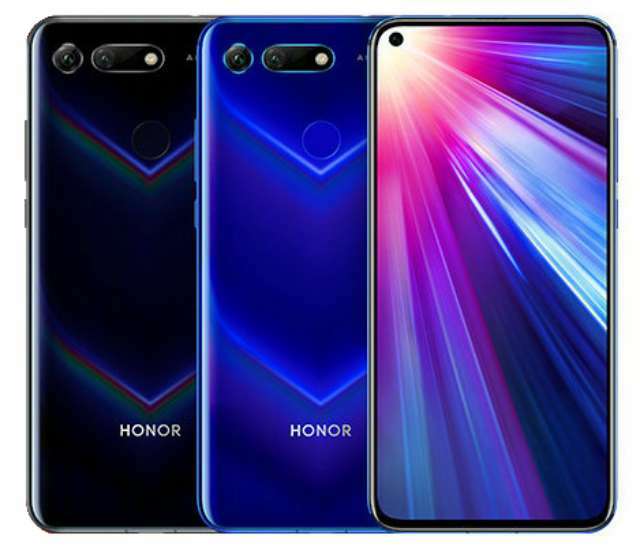 The Honor View20 has a hole carved out in the display for the front camera to reside - this enables the phone to achieve a respectable 91.82% screen-to-body ratio, although it used an LCD panel. Huawei's proprietary smart features further enhances the phone to deliver more; these includes GPU Turbo 2.0 to improve graphics performance and 3D Gesture Recognition for a unique gaming experience. Moreover, the phone utilize Liquid Cooling System to minimize heat during heavy workload. The Honor View20 runs Android 9.0 Pie out-of-the-box buttered with EMUI 9.0. It also supports dedicated dual SIM. Notably, the phone has a 3.5mm audio jack. The 6GB/128GB goes for €569 in Europe and £499 in the U.K, while the special MOSCHINO Edition with 8GB RAM and 256GB storage will be sold for €649 in Europe and £579 in the U.K. The phone will be available in over 17 countries starting from today. Few days after the Honor View20 was made official for global market, Huawei has bring the smartphone to India, thereby revealing the pricing and availability details for the said market. The 6GB RAM/128GB storage version is priced at Rs 37,999 ($532 USD), while the 8GB RAM/256GB storage version costs Rs 45,999 ($644 USD). It will be available exclusively on Amazon India and Honor web store from January 30th. Offline sales will begin in February at select stores.